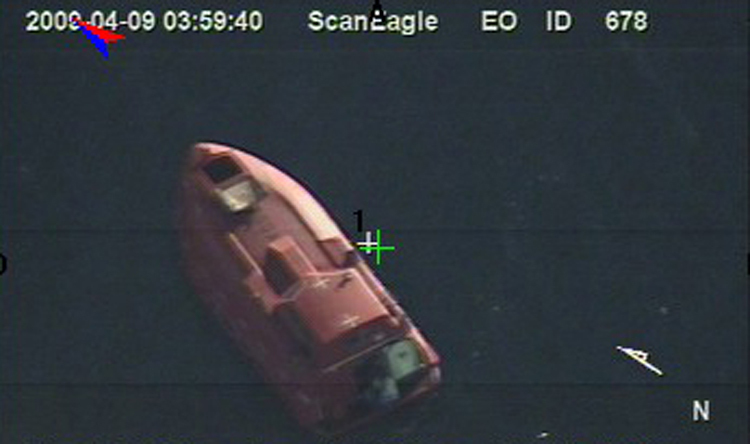 Late Monday, crew on the Emirati-owned oil tanker Aris13 activated a distress call indicating they were being pursued by pirates off the coast of Somalia. The subsequent hijacking, once confirmed, would mark the first successful Somali act of piracy since 2012. This of course begs the question: Is Somali piracy back? The answer is probably yes; also probably no (forecasting is a bad business to be in these days). Credible arguments could be made in either camp. Here I’ve chosen to explore some of the key points on either side. Is Piracy in Somalia is Making a Comeback? When Somali piracy spiked in the late 2000s, the international community was fairly quick to respond. Somalia sits alongside some of the most important shipping lanes in global trade, and precipitously close to three maritime chokepoints: the Suez Canal, Bab el-Mandeb, and the Strait of Hormuz. Rising insurance premiums for shipped goods and the market-wide consequences of scares to the free flow of oil made addressing piracy off the horn of Africa an issue of importance for many navies. One of the largest such engagements was operation Ocean Shield, NATO’s contribution to counter-piracy. 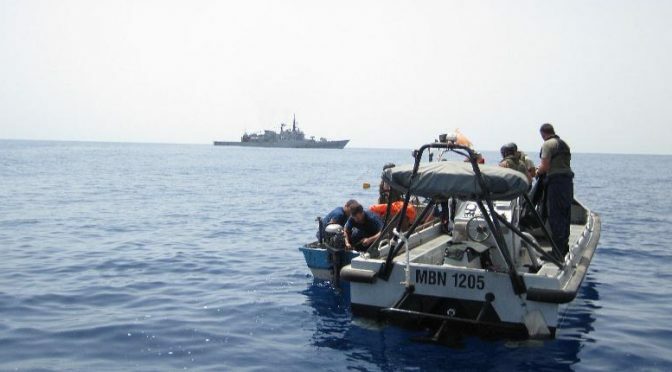 Ocean Shield and related efforts, like EU’s operation Atalanta, were heavily credited with the dramatic reduction in Somali piracy that followed. As Rear Admiral Terry McKnight (USN, Ret) notes, though after years of no successful attacks, Ocean Shield was suspended at the end of 2016. If the deterrent effect of NATO and other warships in the region was indeed primarily responsible for suppressing Somali piracy, the minimization of that deterrent could be credibly seen as providing an opening for resurgent piracy. At the height of regional piracy, a CNA study warned that “the resilience of the pirate enterprise should not be understated.” Four years later, that cautionary note remains relevant. First, it should be noted that piracy rarely just disappears. Like any crime, eradication is an unlikely end state. That is the case off Somalia as well. Even though attacks were unsuccessful after 2012, a small number of attempted attacks were reported in the Gulf of Aden in 2013 (6) and 2014 (4). 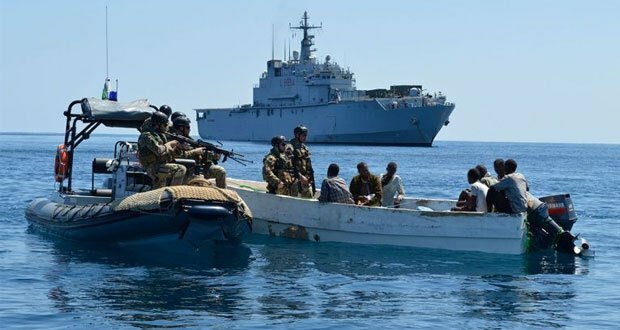 Attempts by Somali pirates in the Red Sea were also reported in 2013 (2) and 2014 (4), while attacks closer to Somali waters occurred in 2013 (7), 2014 (3) and 2016 (2). These numbers are orders of magnitude smaller than in previous years, and gaps in attacks in 2015 tell a remarkable story. For all those reasons we could look at those numbers and conclude this most recent alleged attack is an outlier (and in truth it likely is, I suspect). Nevertheless, as per the International Maritime Bureau (the organization that actually collects all this information), the attempted assaults in 2016 indicate that the “capacity and intent to attack merchant shipping still exists off Somalia.” Lingering institutional knowledge means that a resurgence is not impossible. Closely linked to this point is the idea that (like other types of crime) piracy may have a contagion effect. 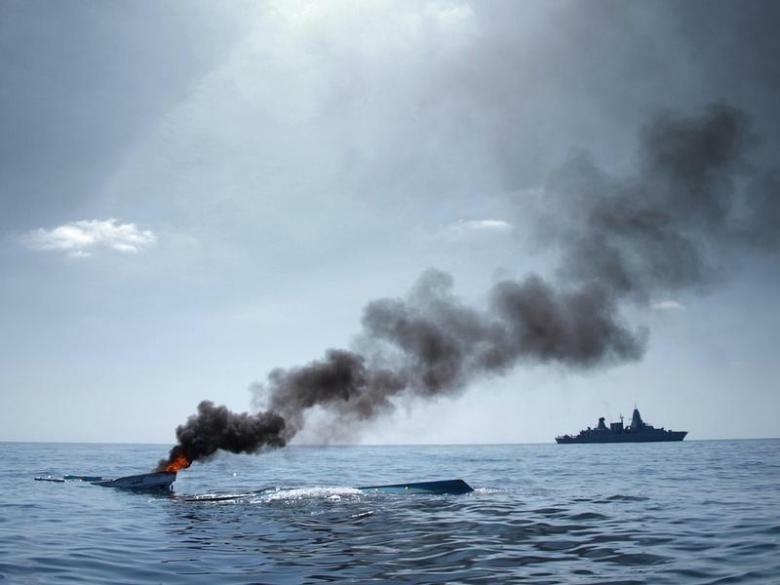 A successful hijacking now could produce copycat attempts, the success or failures of which would have significant consequences for the overall trajectory of regional piracy. Of course, it is now almost a cliché to note that piracy is ultimately solved on land, not at sea. Suffice it to say that, despite apparent gains in power consolidation, Somalia remains quite clearly a country in search of greater stability (it was the top ranked state in the most recent Fragile States Index report). Like the pirate havens of lore, ungoverned spaces will always run the risk of attracting maritime criminality. Is Piracy in Somalia is Gone for Good? The numbers reflected above speak in large part for themselves. Piracy in Somalia, for several years now, has been as close to nonexistent as is practicable. One incident does not make a convincing trend. Moreover, while a decline in anti-piracy-tasked warships is important to note, other deterrents continue to play an important role. 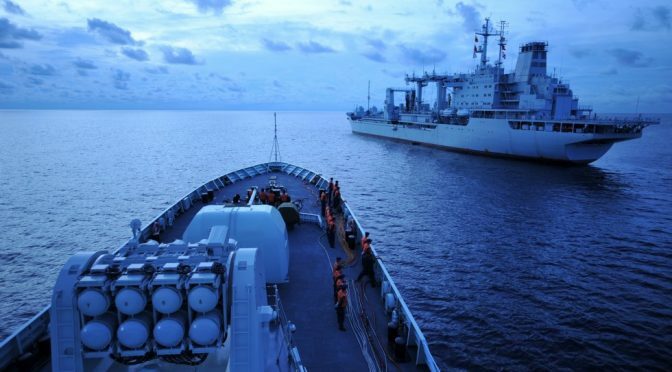 In addition to a remaining naval presence, shippers also developed myriad means of combatting piracy. Embarked armed security is a very credible threat, while passive security measures (watch Captain Phillips), and best management practices (like better reporting standards) all likely contributed to declines in piracy rates and remain just as relevant today as in 2012. Some systemic arguments are harder to make with certainty but are also worth noting. Unlike piracy in the Gulf of Guinea or parts of Southeast Asia (Indonesia, notably), Somali piracy was remarkably organized (i.e. not opportunistic). 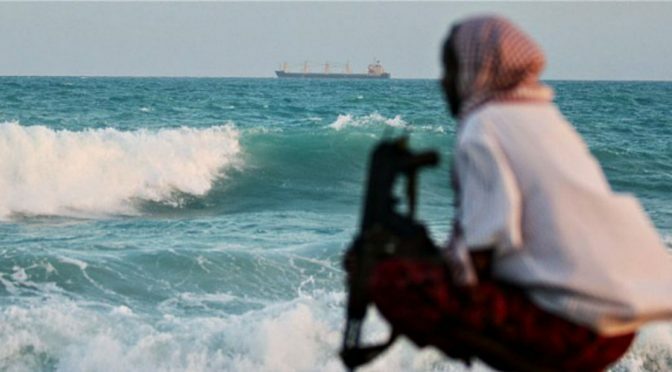 A wide-scale resurgence in Somali piracy, in the vein with which we are familiar with it, would mean a major retooling of operations for the regional transnational criminal organizations (TCOs) that provide a backbone for piracy’s infrastructure (bank accounts, negotiators, financiers). Like most TCOs, it is likely that Somali gangs have diversified to survive, perhaps branching into weapons smuggling or, as a report from 2012 suggests, kidnapping foreigners on land. Making the switch back to piracy is far from impossible, but could run into bureaucratic resistance (even criminals have bosses). Globally, piracy has also just hit its lowest rates in 18 years. And when you get deeper into the details, the numbers don’t not look ripe for a Somali resurgence. 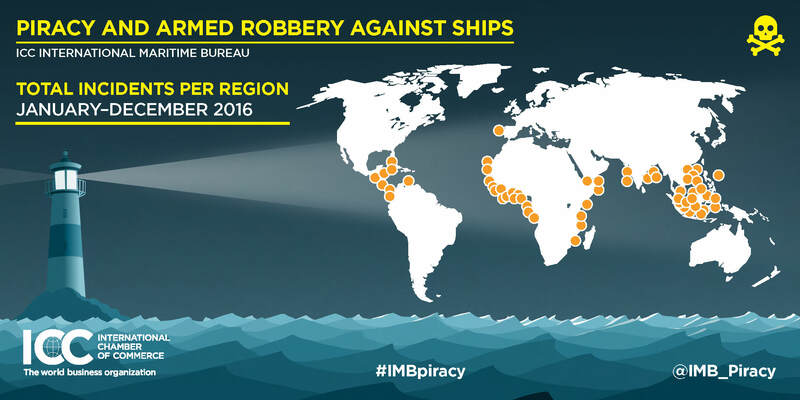 Overall piracy attempts are down, including hijackings, which are the typical type of attack employed near the horn of Africa. What is up are kidnappings, seen increasingly in Nigerian piracy (which is still very active). Indonesia, meanwhile, saw a large decline in piracy, but still owns a substantial portion of total attacks, almost all of which are simple and opportunistic. If global numbers can say anything about a specific region (which is admittedly a big ‘if’), one potential takeaway is that opportunistic piracy and hit and run kidnappings are (for now) more viable tactics than those that Somali pirates usually employed. There is more to this conversation to be sure. Historically, claims that Somali piracy was a response to toxic dumping and illegal, unreported, and unregulated (IUU) fishing (the Somali coast guard narrative) struck some experts as an inadequate explanation for the phenomenon. Fishing has not traditionally been a major part of Somali culture or economies, nor were most pirates former fishermen. (That does not excuse the devastation of toxic dumping and IUU fishing, only its ability to causally explain piracy.) In response to this latest incident, however, that claim has resurfaced as a direct cause of the Aris 13 hijacking. Should it prove that fishermen were indeed responding to predations in Somali waters, that could spark a much wider debate once again. Only time will tell whether Somali piracy will ebb or surge. For now, our thoughts are with the crewmembers and their families. My colleague, Joshua Tallis, wrote a recent article on CIMSEC on the current controversy regarding the nature of a navy. The controversy revolves around a recent conversation between CIMSEC members regarding the understanding of a navy’s central organizing principle. It was brought about by concerns raised about the rise of a global non-state fleet of vessels called the Sea Shepherd Conservation Society (SSCS) conducting missions “other than war” such as fisheries enforcement and interdiction of whaling vessels. Of significant concern is the increasing problem of piracy, which is currently introducing a wider maritime security challenge that must be addressed. How should states deal with piracy, which is engaged in by non-state actors and prohibited under international law? 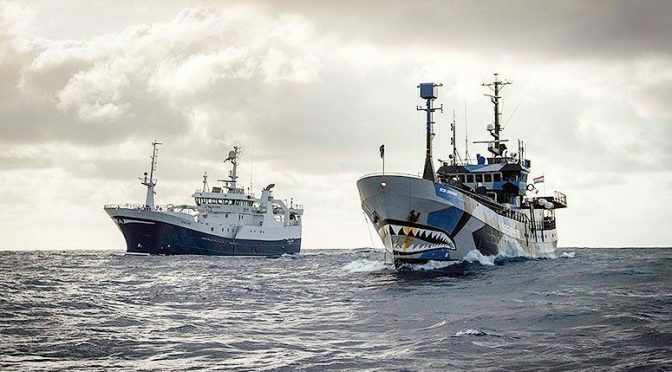 There is concern that as organizations such as Sea Shepherd continue to expand, the likelihood that they will engage with traditional nation-state navies will increase. 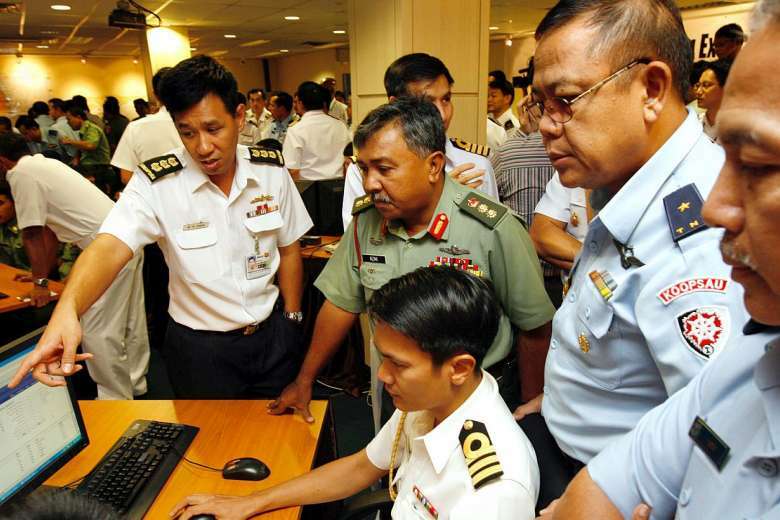 Does this suggest there should be a change in Navy lexicon on piracy? Or does it suggest, as Joshua Tallis argues, that we need an updated definition of piracy, which is currently not legitimate because in our system, only the state has the right to exercise violence? Fundamental to the challenge is the way a military is differentiated from non-state groups either by the scale of the force it can exert or because it is made up of ships that are designed for war. N.A.M. Rodger is cited as an example of a naval historian who defines a navy as a permanent fighting service. In other words, a navy fights. In her book, How Everything Became War and The Military Became Everything, Rosa Brooks argues that the collapsing barriers between war and peace threaten both America and the world. In her first chapter, Pirates!, she relates the incident on April 8, 2009, in which four young Somali pirates boarded the merchant vessel Maersk Alabama, making it the first U.S – flagged ship to be seized by pirates in nearly two hundred years. Four days later, Navy SEAL snipers shot and killed three of the pirates, rescuing the Maersk Alabama captain and capturing the fourth pirate. Ms. Brooks argues that the Navy assault on the Maersk Alabama was in many ways a typical twenty-first century military engagement. “The nature of piracy has changed”, she asserts. Although modern piracy is largely engaged by non-state actors, states are becoming more challenged in counterpiracy operations, which are probably here to stay. “What is the military for in a world in which future threats are as likely to come from non-state actors as they are from the navies of foreign states?” she asks. The boundaries around war, military power, and legitimacy are getting even more blurry and she makes a case that America may pay a price. Several members of the academic community have begun to raise much broader issues about the nature of contemporary warfare and the changes in the roles of the military vis-à-vis the different civilian actors with whom it works. For example, in her book, Borderless Wars: Civil-Military Disorder and Legal Uncertainty, Antonia Chayes speaks of how civil-military relations have become blurred in the attempt to adapt to festering gray area conflict situations. Rosa Brooks book looks not only at the impact of war’s blurriness on the Navy’s patrol of the seas for pirates. Rather, it points out that there are many other problems today’s military personnel are being asked to perform, such as training Afghan judges, building Ebola isolation wards, and eavesdropping on electronic communications. The need for deeper civil-military integration, especially for Humanitarian Assistance/Disaster Relief, is another emerging mission that has also been discussed on CIMSEC and elsewhere. In the last few years, there has been increasing interest in what has been called a “Gray Zone” between traditional notions of war and peace. Again, this concept is introduced by Rosa Brooks, where she cites the May 19, 2015 article by David Barno and Nora Bensahel in War on the Rocks that describes Gray Zone challenges, including cyber and globalization, that is characterized by intense political, economic, international, and military competition more fervent in nature than normal steady-state diplomacy, yet short of conventional war. CNA’s Special Operations Program has been monitoring Gray Zone developments in which the traditional mode of competing is political warfare. The Gray Zone requires intensive interagency cooperation and may need a new national security structure that make current military campaign models obsolete. Do we need two militaries – one for military combat operations and one for Gray Zone conflicts? Do we need to determine what Gray Zone success looks like and establish meaningful criteria for measuring the effectiveness of such operations? These are areas of analysis that will lead to new laws, politics, and institutions premised on the assumptions – according to Rosa Brooks – that the U.S. will forever remain unable to draw sharp boundaries between war and peace and will frequently find itself in the space between, a space that Sea Shepherd occupies. The current CIMSEC discussion on the nature of piracy and non-state navies is part of a larger dialogue on a range of DoD responses to piracy that are already underway. In her recent book, Rosa Brooks introduces many underlying questions that go beyond the definition of a Navy. One question is how deeper civil-military integration will occur as more “soft power” missions are undertaken in the future. Should the military continue to expand its activities into traditional civilian spheres, or should it re-define the laws of war to accommodate the Gray Zone between war and peace and change the way it defines the military’s role in this zone? I recommend the book as a thoughtful look at the increasingly blurred boundaries between “war” and “not-war” and the call for creative new ways to reinvent our military, to protect human dignity, and to prevent abuses of power.